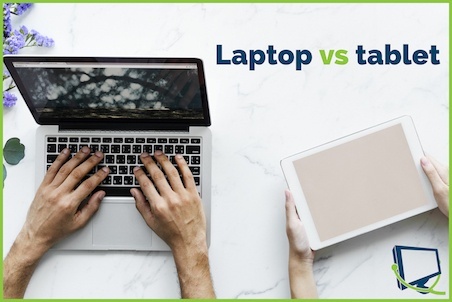 Tablets are very lightweight, compact and easy to carry, but they do not possess the processing power that a laptop has. A tablet's functionality as a computer is limited, although quite sufficient for the needs of its most common users. Tablet users are usually those who casually browse the internet to read the news or social media or play web-based games or watch TV. Tablets are also used in specialized design and music careers. When deciding between a laptop and a tablet, the best choice for you is the one that meets your specific needs. Think about the tasks you want the device to complete, and you'll discover which option is most convenient for you. Computer Corner can help you find the right one for you, contact us today to get started on your custom computer.